Red onions belong to the Allium family of vegetables that includes leeks and garlic. 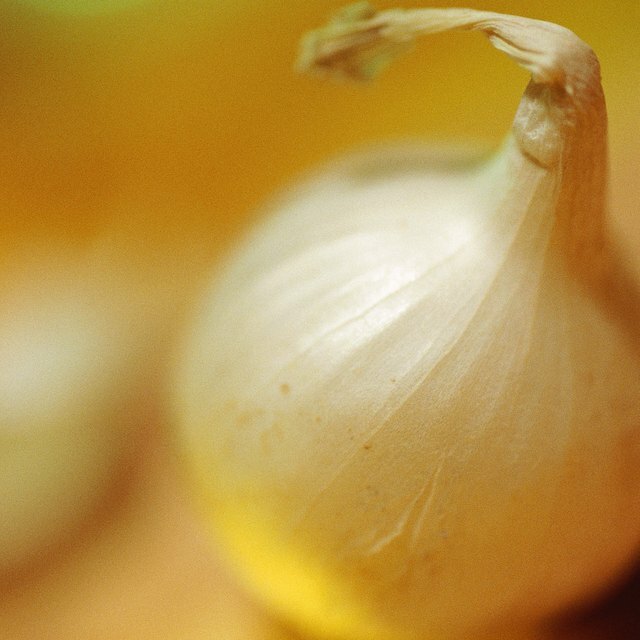 4 What Is a Cipollini Onion? A flavorful addition to many dishes, the versatile onion is low in calories and provides healthy phytochemicals, flavonoids, sulfur compounds and heart-healthy allicin. Onions rank sixth among the world's leading vegetable crops; approximately 7 percent grown are red onions. Red onions have a sweet mild flavor and can be added to stews, soups, cooked vegetables or sauces. The onion is one of the oldest vegetable crops there is and likely grew wild on most continents. Onions were used in the middle ages for medicinal purposes, such as protection against the plague and to ward off evil spirits. A perennial herb, the onion plant is characterized by long stalks with greenish-white flowers and a fleshy, thin-skinned underground bulb. The red onion varieties include Italian red onion, creole onion and red torpedo. Red onions contain 64 calories per cup. They provide 5 percent DV, or daily value, for carbohydrates, 4.9 g of protein and no fat or cholesterol. 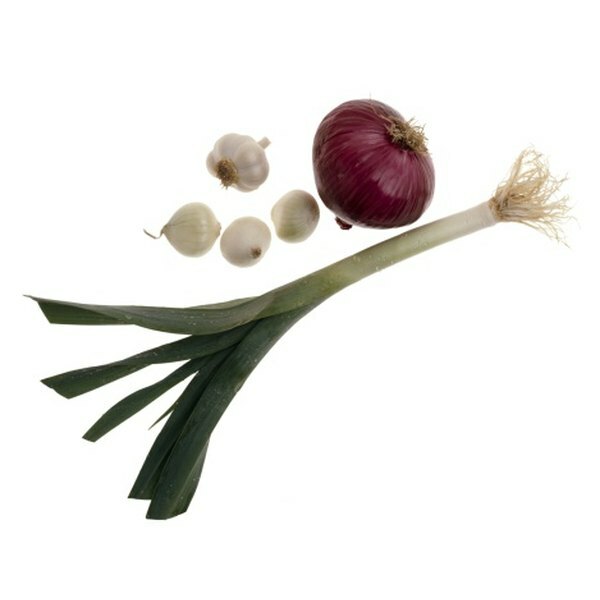 A good source of fiber, one cup of onions has 2.7 g, or 11 percent DV. Onions provide vitamins C, at 20 percent DV per cup, vitamin B-6, with 10 percent DV and folate, with 8 percent DV. The mineral content includes 4 percent DV for calcium and magnesium, 2 percent DV for iron, 7 percent DV for potassium and 10 percent DV for manganese per cup, based on a 2,000-calorie diet. Onions are also one of the best food sources of chromium, which may enhance the action of insulin and help metabolize carbohydrates, fat and protein. Tannins and anthocyanins account for red onions being one of the best natural sources of quercetin, an antioxidant flavonoid with anti-fungal, anti-bacterial and anti-inflammatory properties. Quercetin is heat-stable and transferable to cooking water. The Journal of Agricultural and Food Chemistry published a study from a number of international universities that concluded that cooking onions by blanching, frying and microwaving did not decrease the antioxidant activity of the bioactive compounds. Antioxidants help fight cancer, and the quercetin in onions may prevent intestinal polyps, help curb the common cold, treat psoriasis and inhibit many viruses including cold sores. The quercetin from one-half an onion daily may reduce the risk of stomach cancer by 50 percent, according to Health With Food. Quercetin may help inhibit LDL, “the bad cholesterol,” which could mean protection from atherosclerosis, cancer and heart disease. Quercetin in onions helps stimulate the metabolism of vitamin E and inactivate chelate metal ions from damaging the body, according to the National Onion Association. Red onions provide allicin, an organic sulfur compound responsible for the taste and smell of onions. When an onion is minced or chopped, enzymes produce sulfenic acid, which releases allicin that provides protection against inflammation, allergies, bacteria and thrombosis. Allicin is heart healthy and may prevent cancer, reduce symptoms of diabetes and inhibit platelet aggregation. Stomach cancer is the second leading cause of cancer death in the world. The University of Southern California conducted a study to investigate the effect of allium vegetables, such as onions, on stomach cancer. Trials involving a large number of Chinese subjects found an inverse relationship between onion consumption and stomach cancer. Results, published in Asian Pacific Journal of Cancer Prevention in 2005, suggested onions as a viable protector against cancer of the stomach. Although onions offer nutritional value regardless of whether they are raw, fried, boiled or baked, the journal Prostaglandins Leukotrienes Essential Fatty Acids suggests that raw onion is a more potent inhibitors of blood platelet aggregation than cooked. The effects of raw versus boiled onion were compared by the Department of Biological Sciences in Kuwait using rabbit and human platelet-rich plasma. Results of the study showed boiling onion extract reduced the slowing down of blood coagulation. Does Too Much Onion Affect Your Memory?